I was in need of a shorter jacket to wear with my new Colette Meringue skirt (and jeans, and capris, and slacks - you get the idea!). 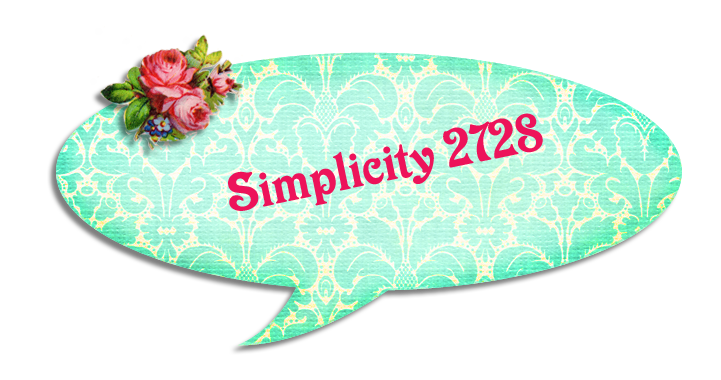 This Project Runway inspired pattern, Simplicity 2728, was the answer. Speaking of lining, I really like the way this pattern has a facing that goes around the entire outer edge of the jacket, so the lining is attached completely to the facing (no messy hemming - well, my hemming is usually messy anyway!). The facing is then sewn onto the outer edges of the jacket. It gives such a nice, clean finished edge around the whole inside of the jacket. 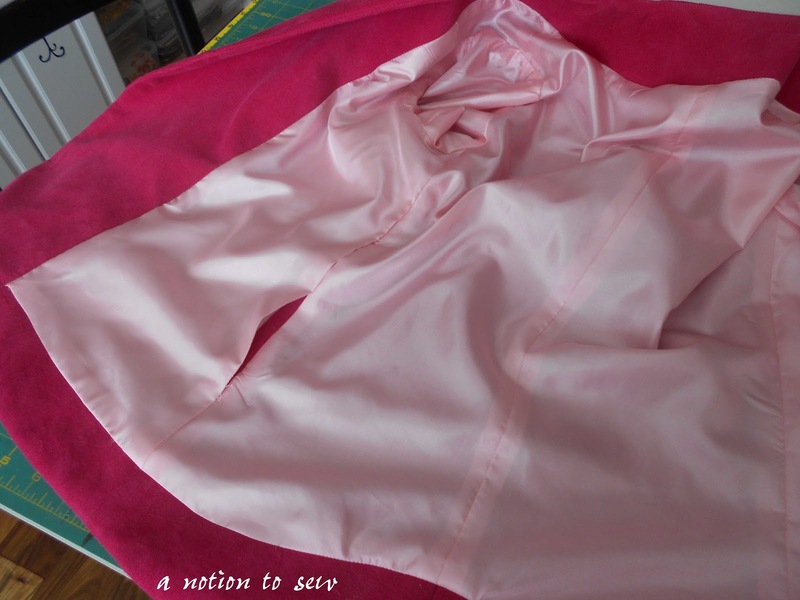 Before sewing the lining to the facing, part of one side seam in left open for turning. 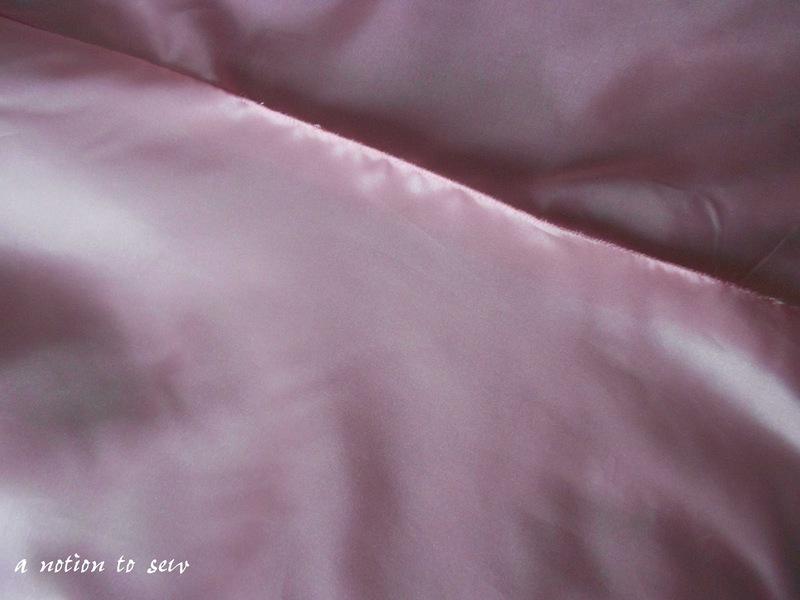 After sewing the facing, with lining attached, to the outer jacket, the open side seam in the lining can easily be hand sewn closed. 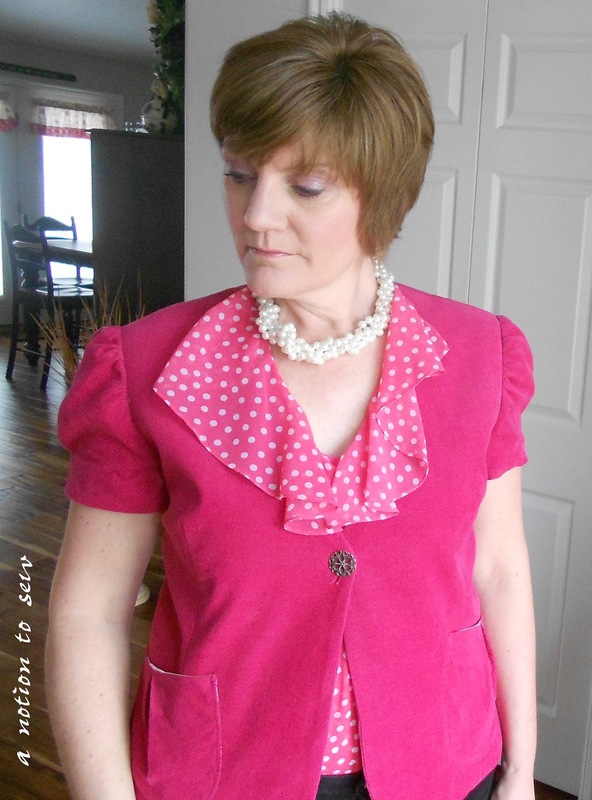 I prefer to wear my sweaters and jackets buttoned just below the bust line and not all the way down to the hem, so I added only one button to the front of this jacket. Why add all those buttons and buttonholes is I'm not going to use them? Now if the weather will only cooperate, I can wear this short-sleeved beauty most of the spring and into summer. Very cute!! I love the color. Winter has definitely worn out its welcome. I hope spring takes over soon too. Thanks, Jennifer. I agree, spring can't come too quickly. Such luscious and lovely jacket, Pam!